This week we have a few unique items. 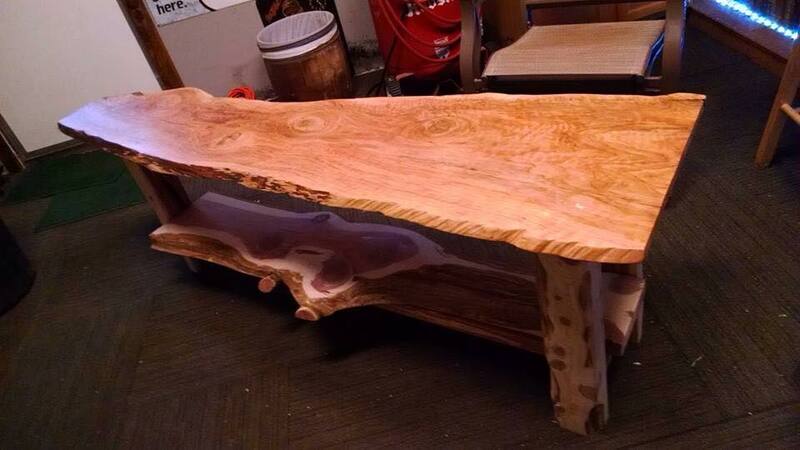 Starting with this coffee table that is on the larger scale. We also have had a few hard working individuals send us their newest table. Today we want to focus on the spice cabinet, this piece is full of detail and hard work. Let us know what you think in the comments below! 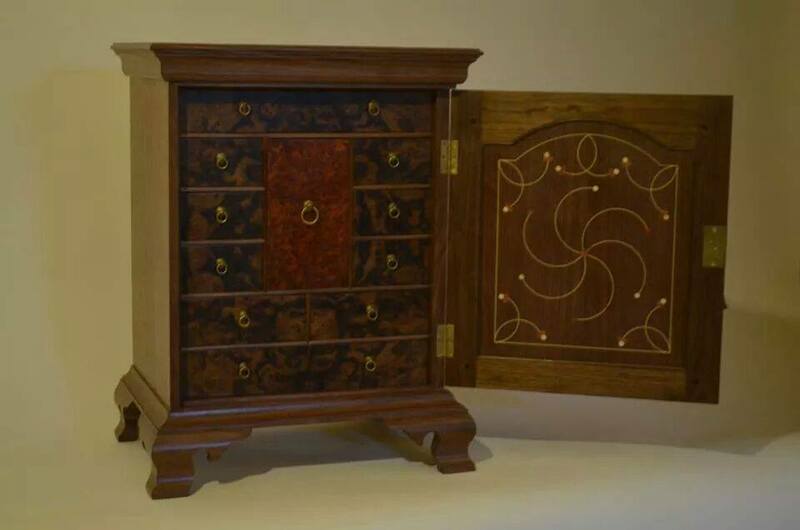 Pennsylvania Spice Cabinet in walnut, adorned with red cedar and Holly inlay and poplar secondary stock. Veneered drawer fronts in walnut burl and bubinga burl. I’m a woodworker from ontario. Im part owner of Donnellyrustics, our custom reclaimed wood furniture business. 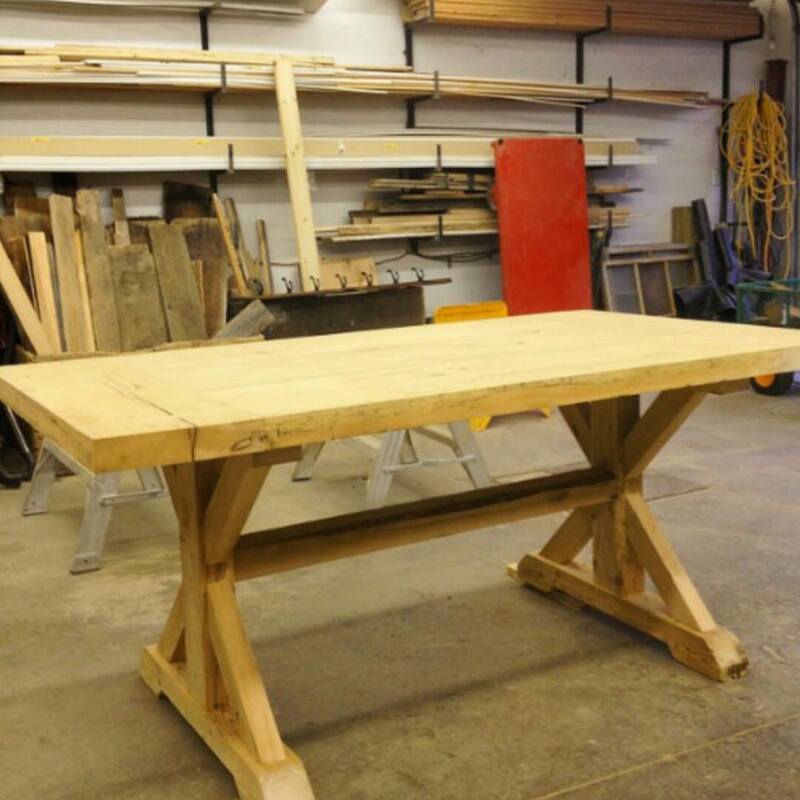 We build this table and would love if you could post it. It’s made from first leaf cedar, and spruce. We used mortise and tenons to join everything together.